Question 6/ Day 6 - What is the relationship between the foreground and the background? The way subjects connect to each other in a photograph forms shapes that draw the eye from subject to subject. If your subject is already triangular or square-shaped then the viewer's eye will automatically focus on that shape. Horizontal photographs (or landscape format) encourage our eyes to move from side to side, whereas vertical photographs (or portrait format) make them move up and down. Below, I have included an example of each. 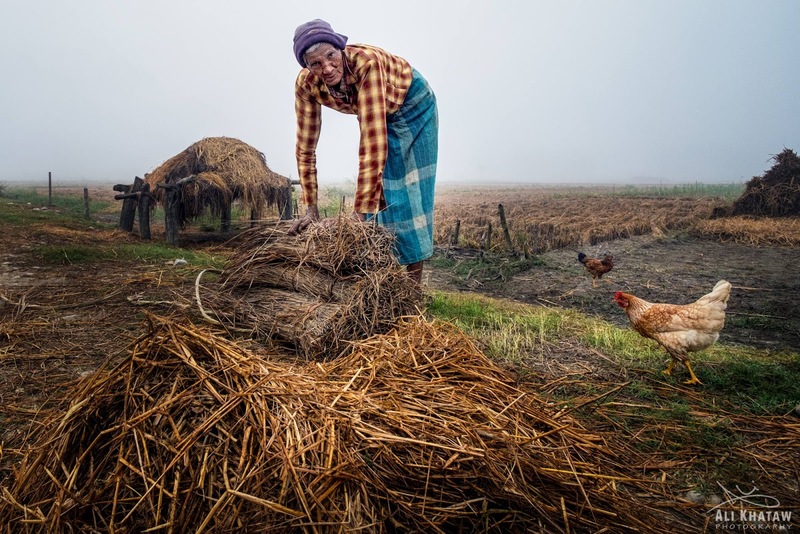 The image “Old Man in the Field” was made just outside the perimeter of Chitwan Forest in Nepal. He was a really friendly character who had arms that were extra long. Since it was early morning there was still fog in the background. I made several horizontal images of him using a greater depth of field (smaller aperture/larger f-stop) as I wanted the foreground in focus too. Typically in horizontal images the viewer's eye should be moving from right to left or vice versa. 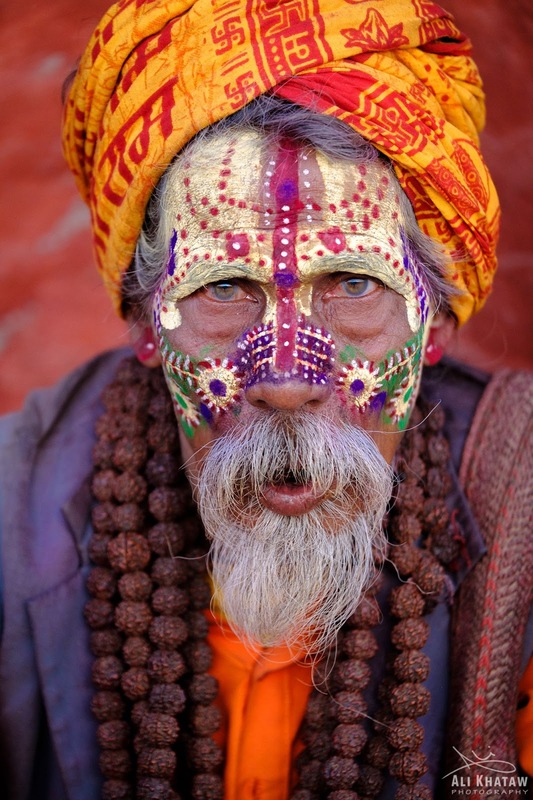 The image “Sadhu” was made in Kathmandu, Nepal. I found this friendly character at Pashupatinath. Pashupatinath is one of the four most important religious sites in Asia for devotees of Shiva. The goal was to get the Sadhu tack sharp and blur out the background. This was achieved by using a shallow depth of field (Large Aperture/smaller f-stop). Typically in vertical images the viewer eyes move from top to bottom or vice versa. I have done a decent amount of work photographing Pashupatinath. The link below shows some of my black and white work. It needs to be viewed in horizontal mode if viewing on an iPad or smart phone. Hope you found this helpful! Stay tuned for tomorrow when we will discuss “GET CLOSE"